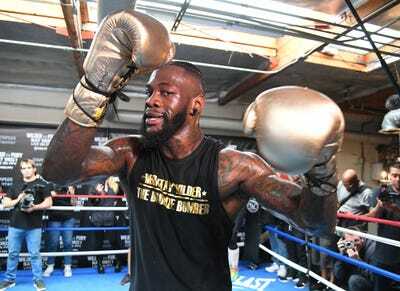 Photo by Jayne Kamin-Oncea/Getty ImagesDeontay Wilder. The six-foot-seven athlete is one of the world’s most feared boxers with a terrifying record of 40 wins from 40 fights, 39 of which have come by knockout. 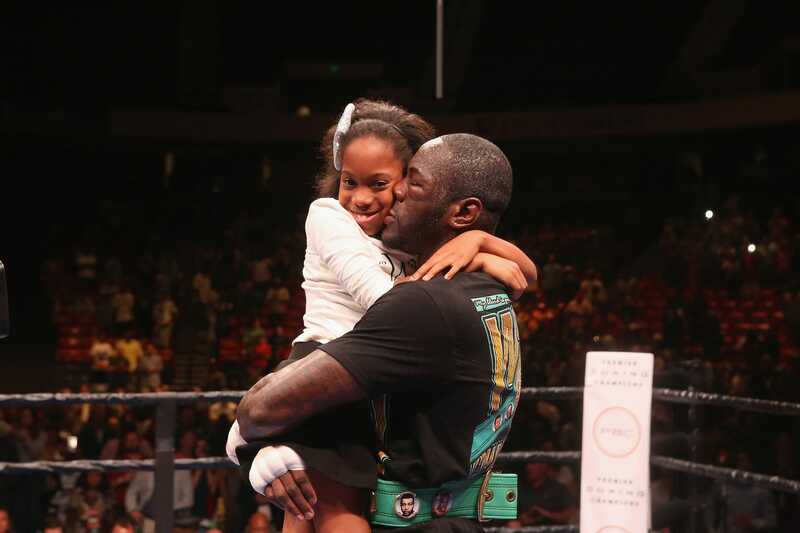 But the WBC heavyweight champion is revealing a softer side, opening up about fatherhood, his eldest daughter’s health problems, and his desire to be a pregnant dad. Deontay Wilder has said he would “sign up” if a procedure was ever invented that would allow him to get pregnant, carry a child, and give birth as a man. He added that he feels like “the mother goose” in his family. Photo by David A. Smith/Getty ImagesWilder and his daughter Naieya. Naieya was born in 2005 with spina bifida, a condition where an unborn baby’s spine and spinal cord don’t develop properly. Wilder was told that she may never walk. The rest is history. Naieya confounded the doctors by walking after five surgeries as a baby, and Wilder – a bronze medallist at the 2008 Olympic Games – is looking to confound critics by extending his unbeaten run this weekend.